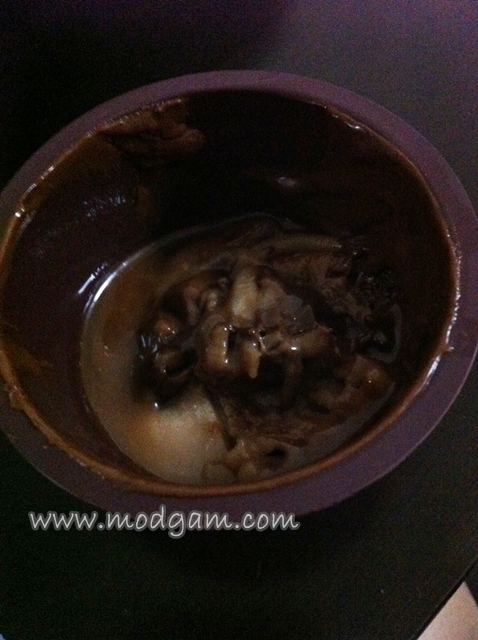 MeiXin Mooncakes – peanut butter and chocolate? The Mid-Autumn Festival also known as the Moon Festival or Mooncake Festival is a popular lunar harvest festival celebrated by Chinese all over the world. In Singapore, most of us celebrate it with our family with mooncakes eating and the kids will gather together with their lanterns. =] The moon is usually very big and round and exceptionally bright. Typical mooncakes are round or rectangular pastries filled with red bean or lotus seed paste may contain yolks from salted duck eggs. These days there are so many creative flavors like the one I am gona share with you! MeiXin is my favorite HKG brand. I love buying their bread and pastries back for friends and family. 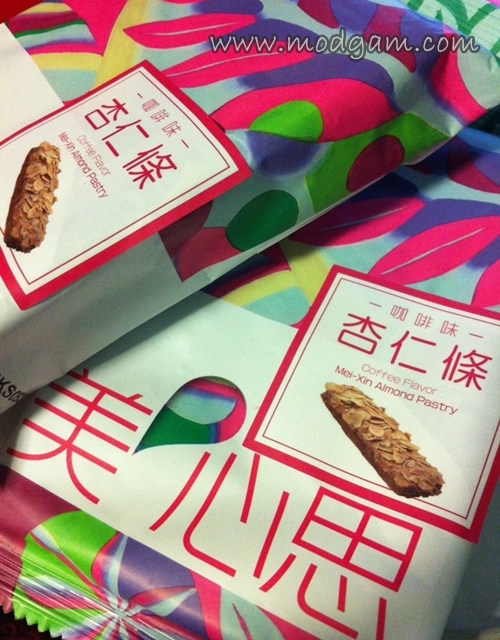 I will stock up MeiXin almond chocolate biscuit snacks everytime I visit HKG! I buy in bulks say 15-20 packs of them! 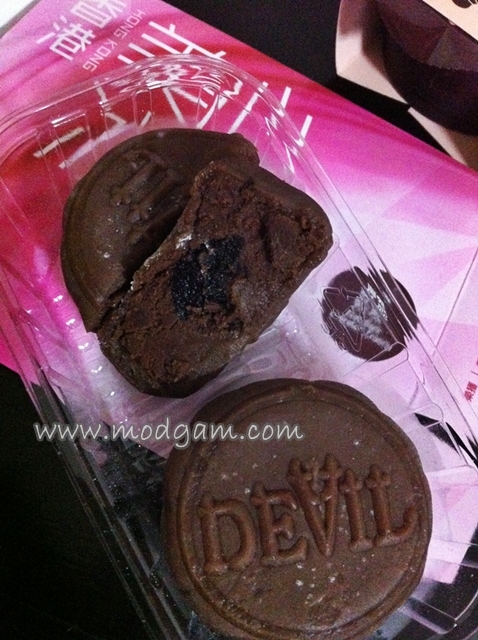 Hahaaaaa I am so happy when Bud bought me their mooncake and almond biscuits! The packaging sold here is different and I don’t remember seeing coffee flavor in HKG. Check out the very very yummy flavors Bud got me! 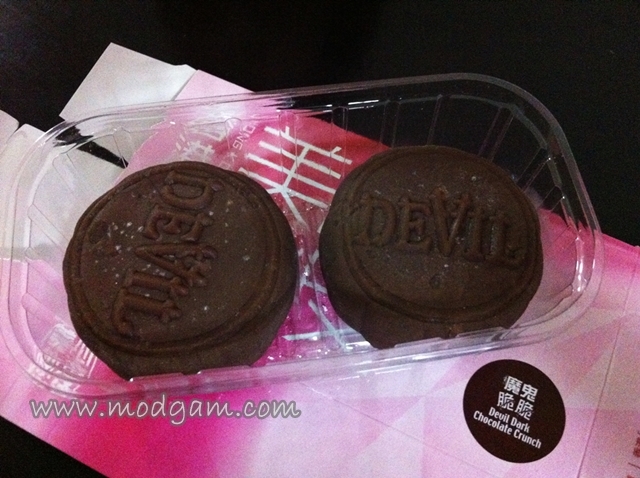 Devil Dark Chocolate Crunch – I didn’t feel any crunch in this mooncake but the chocolate is thick and delicious. 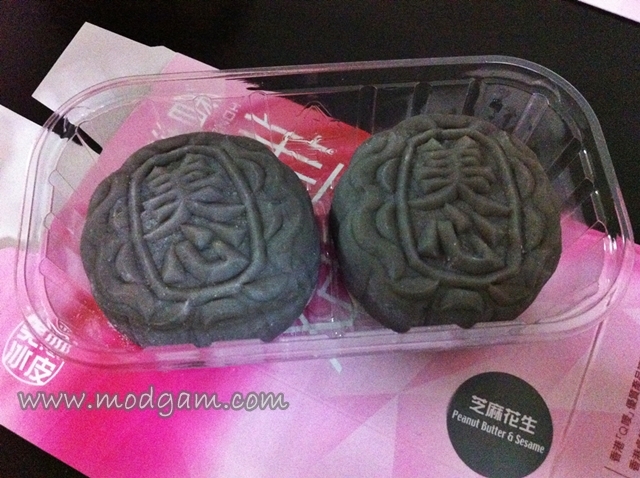 I only wish the size of the mooncake is bigger. 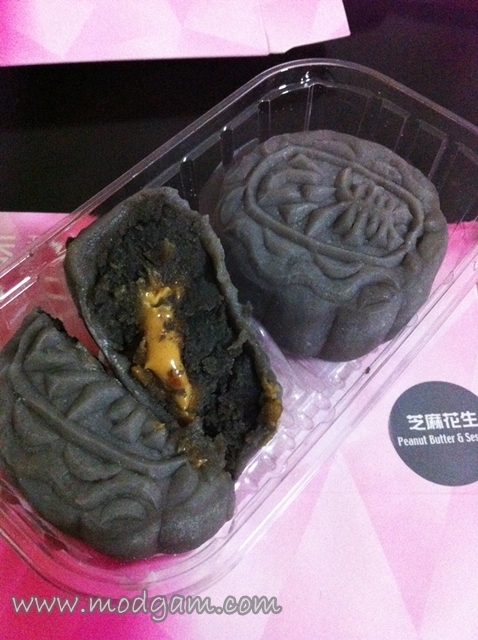 Peanut Butter & Sesame – This is the most delicious mooncake I have ever eaten. Or should I say the best combi ever? The after-taste lingers in your mouth with a great deal of flavors, in a most delightful way! I can easily take another 10 of this! 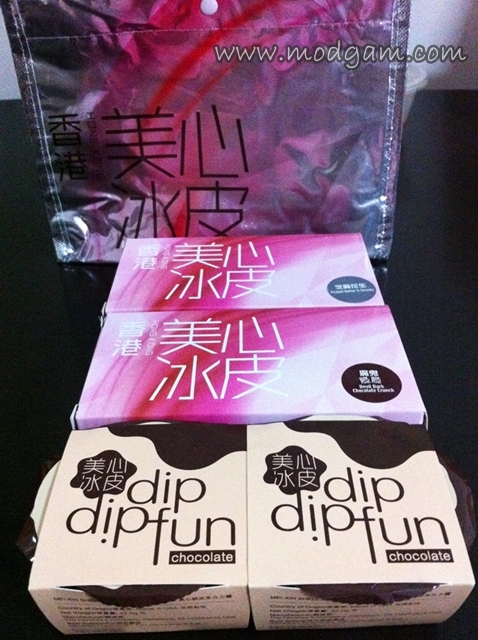 Chocolate Dip – this chocolate dip is meant for the mooncake but they turn out to be a disappointment. The mooncakes are better off without it. I can’t find those ones in the uk.. maybe there are just available in your country 🙁 they do look yummy! Oo those look dreamy *I’m on a diet, I’m on a diet – remember that! * Lol you find the best things.